In 2009, through the generous and kind donation of an IAOS benefactor, Camp Chesterfield created a replica of the Chartres Labyrinth found in the Chartres Cathedral in Chartres, France. The labyrinth at Camp Chesterfield is located on the former site of the “Ladies Bazaar” which stood from the early days of Camp Chesterfield’s formation, but was razed after a fire and many years of harsh weather conditions had taken its toll on this historic building. What better way, though, to honor such an important structure than to create a labyrinth on the very spot in which it stood for so many years? The labyrinth was laboriously made by residents and members to honor the history and energy which once stood on this sacred site. The labyrinth has been charged energetically with positive energy full of love and light. It was officially dedicated on Saturday, June 19, 2010 with residents, mediums and members in attendance. Butterflies were released to commemorate the occasion. Labyrinths can be thought of as symbolic forms of pilgrimage; people can walk the path, ascending toward salvation or enlightenment. Many people could not afford to travel to holy sites and lands, so labyrinths and prayer substituted for such travel. Later, the religious significance of labyrinths faded, and they served primarily for entertainment, though recently their spiritual aspect has seen resurgence. 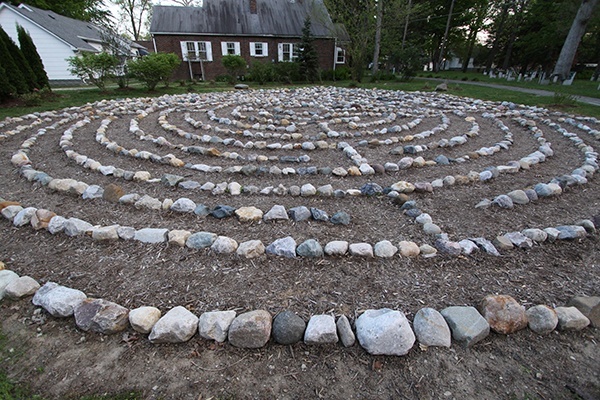 Please visit Camp Chesterfield’s healing grounds and take a meditative journey on its healing labyrinth. 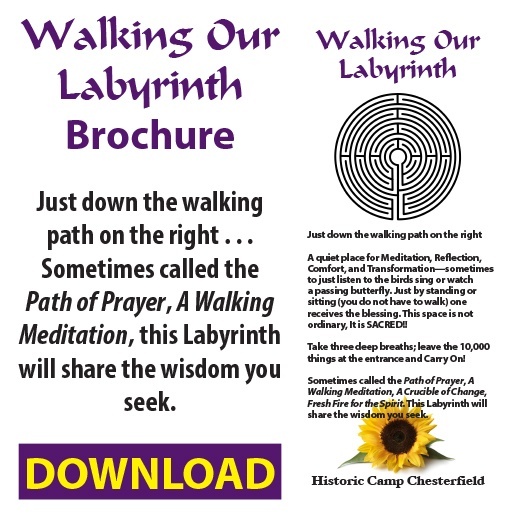 Taking a labyrinth walk is a modern revival of an ancient spiritual custom. 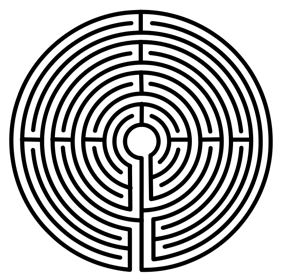 The labyrinth, a winding one-way path which leads walkers into and back out of a central space, offers a kind of body meditation which parallels the inner journey of prayer and reflection. Prepare to walk. Take some time to transition from your everyday life to the labyrinth experience. Remove your watch. Slow your breathing. Still your mind. Open yourself to possibilities. Think about, or write in a journal, your intentions for the experience: questions, affirmations, feelings. Leave your personal belongings in a secure place. Take off your shoes, a traditional sign of respect for a sacred space, and required for walking some painted labyrinths. Begin your journey. 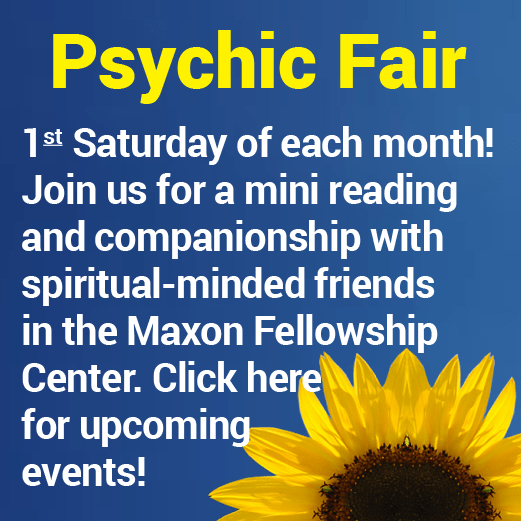 Pause at the entrance to the labyrinth to take a cleansing breath and focus your attention. You may ask a question, say a prayer or recite an affirmation. Some people choose to bow or make another ritual gesture to signal the beginning of their walk. Walk the inward path. Put one foot in front of the other, and walk at a measured pace that is comfortable for you. On the way in, focus on letting go of things you want to leave behind and releasing things that stand in the way of your spiritual journey. Pause when you need to. Don’t focus on the center as a goal; be present in each step of the inward path. Spend time in the center. Take as long as you wish. You may stand, sit, kneel or lie down. This part of the journey is about being present to your innermost self and to the power of the divine. You may pray, journal or simply be open to the stillness. Respect the boundaries of others with whom you share this sacred space. Take the return path. When you are ready to leave the center, begin walking back the way you came. On this part of the journey, focus on what you will bring out from the center and back into your life. As before, pause when you need to. Resist the temptation to sprint to the finish line: the return journey is as important as every other part of the labyrinth. Reflect on the journey. When you leave the labyrinth, you may pause to make another gesture or to say a prayer. Before leaving the area, take some time to reflect on insights you’ve gained, or make notes in your journal to explore further, later.